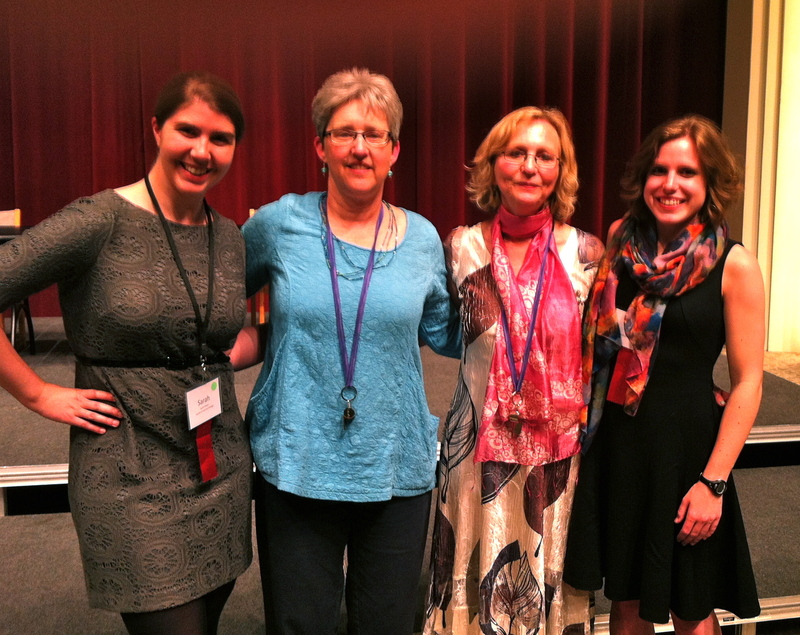 I’d never heard of Bloomsburg University before Julie Vandivere volunteered to host the 25th Annual International Conference on Virginia Woolf at her home institution. 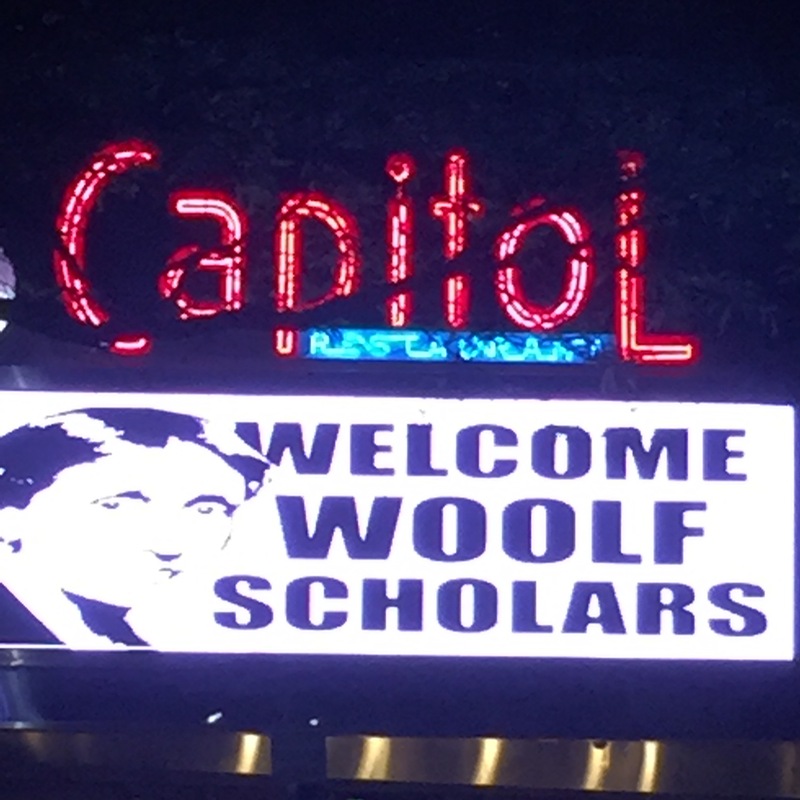 Now word of the charming campus and gracious town in which it is located has spread around the world, due to the way the town and the campus teamed up to embrace Woolf, the conference and each one of its nearly 250 participants from as far away as China. Just one of the signs welcoming Woolfians to Bloomsburg. The town’s website boasts “small-town charm and down-home hospitality.” Those weren’t empty words. The town of 14,000 was blanketed with signs welcoming and directing conference goers. 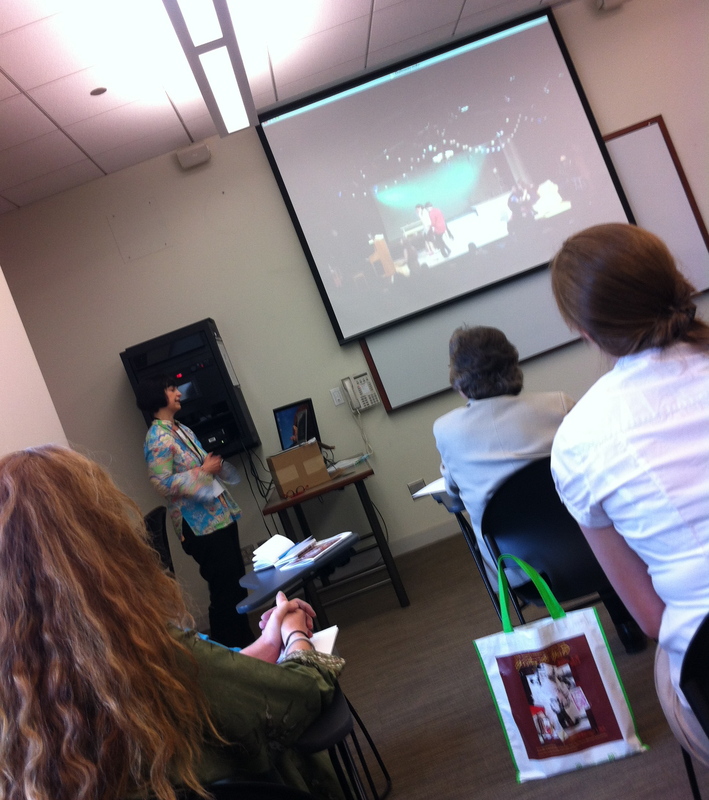 Conference events were spread throughout its perimeters. Community members participated in the events and graciously offered directions, greetings and other help. And high school students from the area’s three high schools, Bloomsburg, Berwick and Southern Columbia, had their own pre-conference panels. The result? Two hundred and six presenters from 14 countries and five continents had the opportunity to fall in love with small town Bloomsburg, Pa., and its university community. A total of 68 events — from panels to roundtables to a printmaking workshop to a trip to Rickett’s Glen State Park for a hike and a picnic — with 206 presenters. 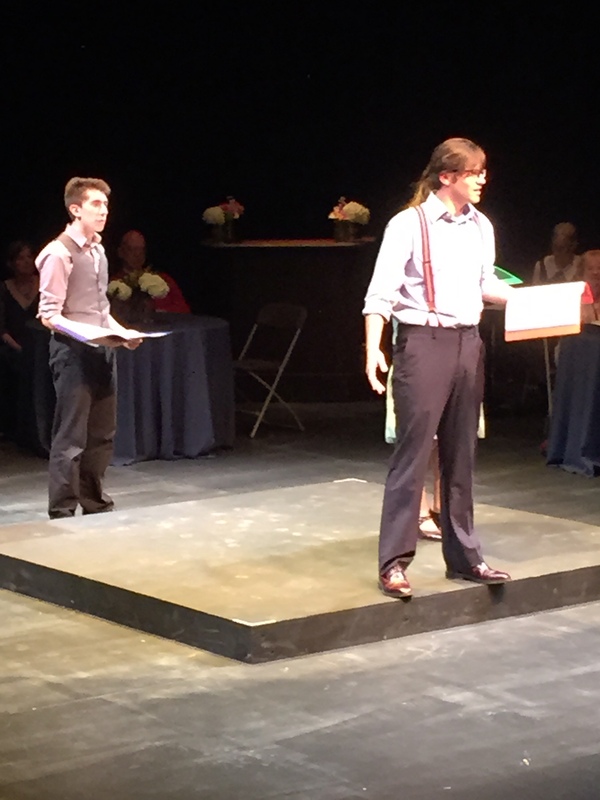 A powerful Friday evening performance of Ellen McLaughlin’s Septimus and Clarissa by the Bloomsburg Theatre Ensemble. The ensemble had just one day to rehearse and they did a masterful job, with McLaughlin playing the role of the adult Clarissa. According to her, 60 percent of the words in the script were Woolf’s and 40 percent were her own. Mrs. Dalloway’s Party, an after-theater lark that allowed theater goers from the conference and the community to don hats and dress-up clothes and meet and mingle with each other as well as the players, the playwright — and conference guests of honor Cecil Woolf, nephew of Leonard and Virginia, and Jean Moorcroft Wilson, biographer, literary critic and wife of Cecil Woolf. A juried exhibition of works on paper titled The Mark on the Wall that presented the work of 47 artists from as far away as Dubai. Their work, inspired by Woolf and her female contemporaries, was chosen from among more than 400. Co-Best of Show Awards went to Erika Lizée and Carolyn Sheehan. 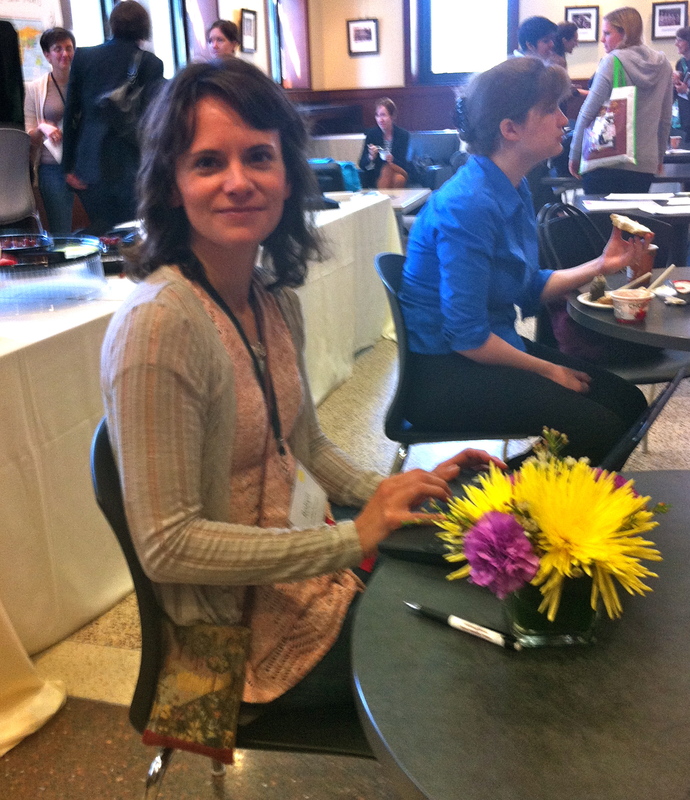 Honorable mentions went to Mischa Brown, Chieko Murasugi and Jacqueline Dee Parker. See the full list of exhibitors. View the catalog to see the entire body of work in the exhibition that will be on display at the Gallery at Greenly Center through June 30. A catalog will be available for purchase on Blurb, as of June 9. 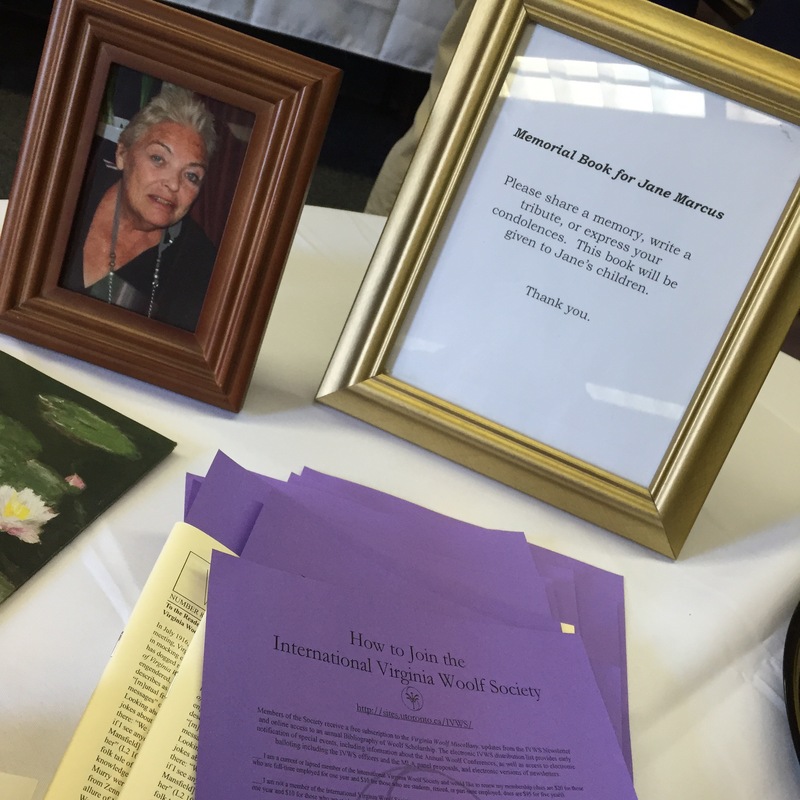 A memorial to Woolf scholar Professor Jane Marcus that was coordinated by members of the International Virginia Woolf Society and introduced by Erica Delsandro, co-organizer of the conference. A poetry reading by Cynthia Hogue and a reading by Maggie Gee from her novel Virginia Woolf in Manhattan. Saturday evening banquet where Woolf lovers celebrated her work, as well as their comaraderie, and were entertained by a charmingly humorous two-way conversation between Cecil Woolf and his wife Jean Moorcroft Wilson in which Woolf shared memories of Virginia and Leonard Woolf as well as other Bloomsbury Group members, including Bertrand Russell and Duncan Grant. 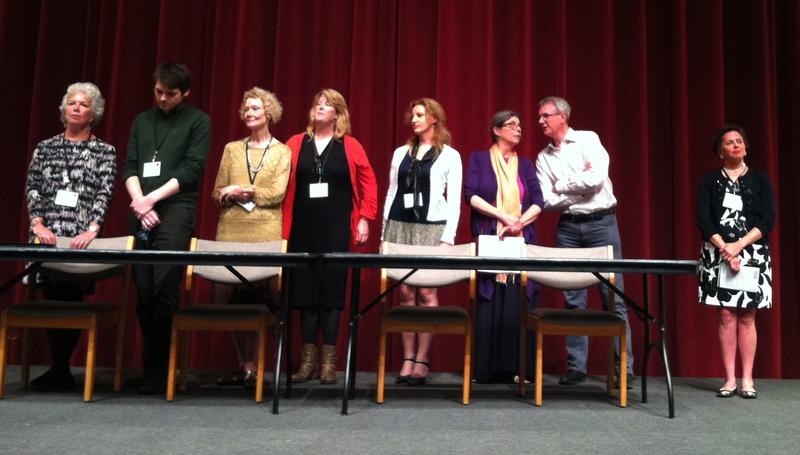 Of course, the Virginia Woolf Players also made an appearance, with a troupe of Woolf scholars reading some of their favorite comical and serious passages from her work. The introduction of six new books in the Bloomsbury Heritage Series from Cecil Woolf Publishers of London. 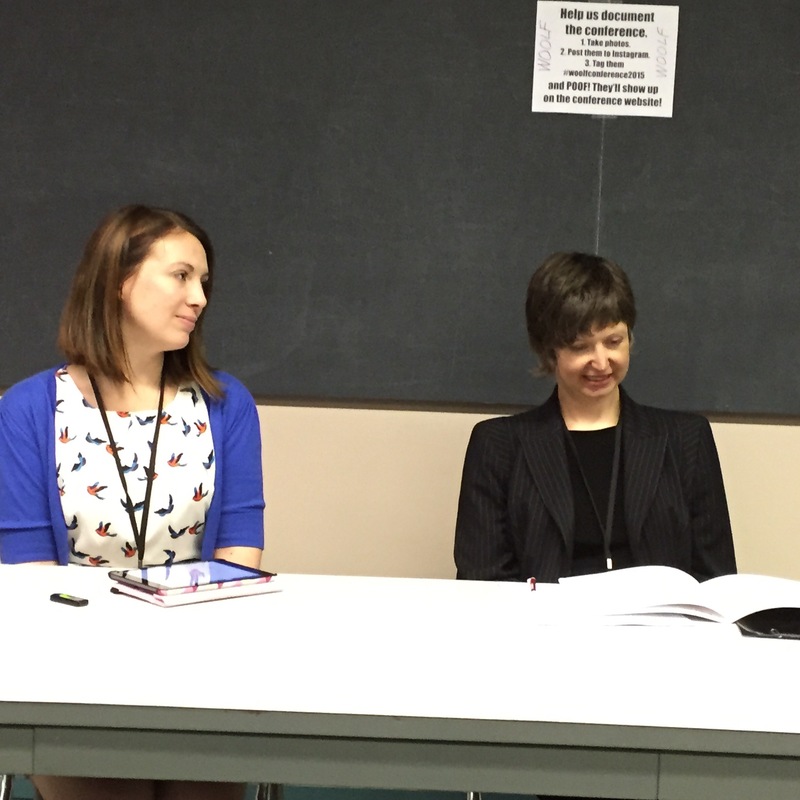 A roundtable on modernist theory with Celia Marshik, Judith Brown, Allison Pease and Emily Ridge during which the panelists and the audience engaged in a discussion of high and middlebrow modernism and how such studies could do more to include both well-known and lesser known women authors. An introduction to launching a newly proposed journal, Feminist Modernist Studies, edited by Cassandra Laity and Anne Fernald, that will be published twice a year in both print and digital formats and will attempt to expand the modernist literary cannon to include more women by giving them space of their own. 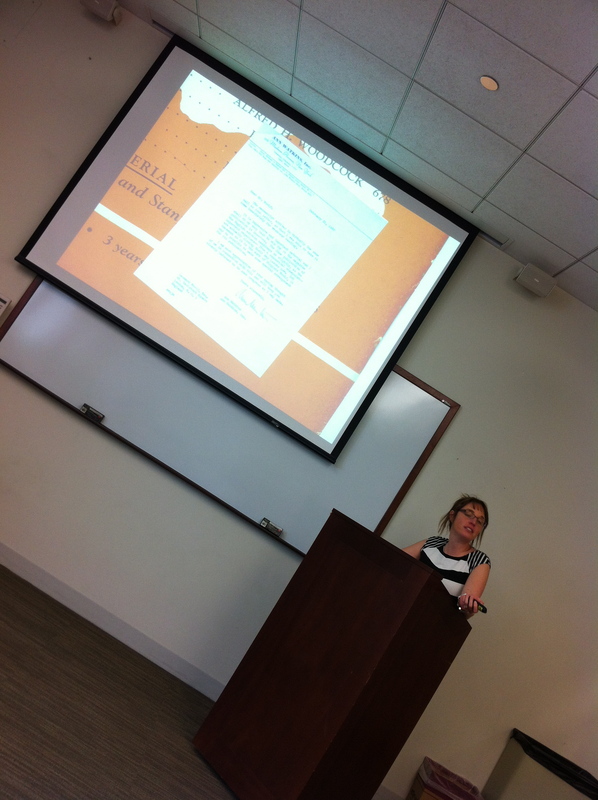 Anne Martin’s presentation on “Village Community and the Coming of War in the Final Novels of Virginia Woolf of and Dorothy L. Sayers,” which made me want to re-read Murder Must Advertise (1933) and Gaudy Night, (1935), as well as The Wimsey Papers. Patricia Laurence on Woolf and Elizabeth Bowen and her comment on the “porous borders between poetry and prose” as well as the fact that Bowen was an agent for the Ministry of Information during the Great War. Mark Hussey’s paper on Woolf and Rebecca West, in which he coined the term “modernist star system” and shared the fact that the proof version of A Room of One’s Own includes a two-page passage explicitly blaming women for reflecting men back to themselves as larger than they really are. Woolf makes the same point in the final published version but does so in brief. The passage appears after Woolf’s mention of West. Elisa Kay Sparks’ tongue-in-cheek bar graphs on Woolf’s and Georgia O’Keeffe’s use of flowers in their work, with particular attention to – and entertaining visuals of – the calla lily. Maria Aparecida de Oliveira’s fascinating paper on the correspondence between Woolf and Brazilian writer Victoria Ocampo (1893-1979). The two were introduced at Man Ray’s photo exhibit in London in 1934. 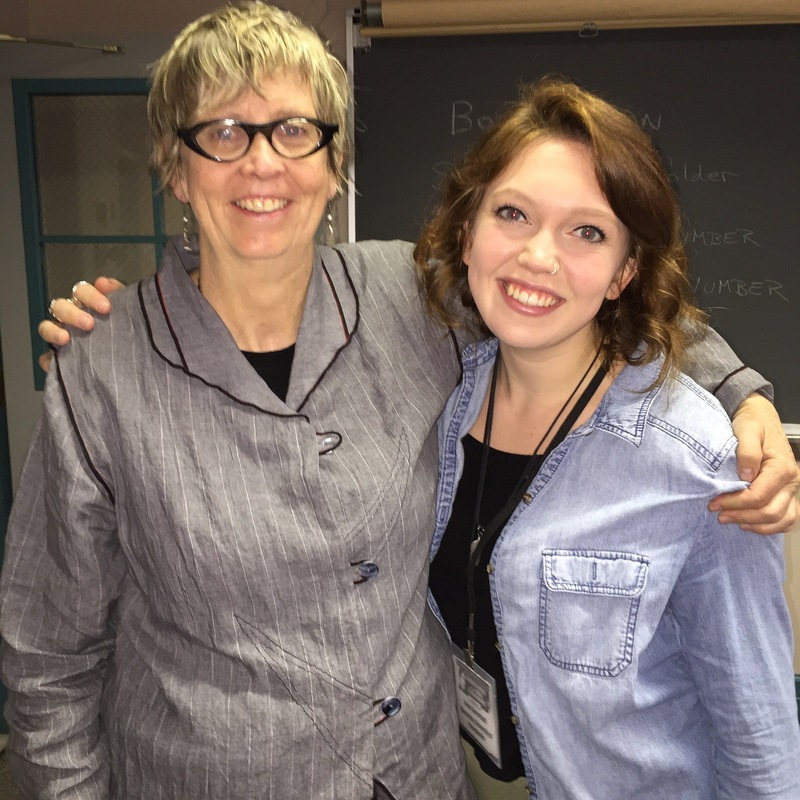 After her presentation, Maria told me that the two women writers discussed fascism in their late 1930s letters. Leslie Hankins’ slide show of illustrations that accompanied Woolf’s London Scene essays for the British Good Housekeeping, as well as the stories and graphics that surrounded them in the magazine’s layout. Diane Gillespie’s discussion of Woolf’s rejection of novelists who pitched their books to the Hogarth Press, with a focus on Anne Tibble. Eleanor McNee’s illumination of Woolf’s animosity towards her two High Anglican cousins, Dorothea and Rosamond Stephen. A panel on “Woolf and the Political,” with Jean Mills advising that when one hears criticism of Woolf’s racism and classicism, one should “consider the diversity of her audience” and Mary Wilson saying we should “consider the servants as the contemporaries” of the writers we study. 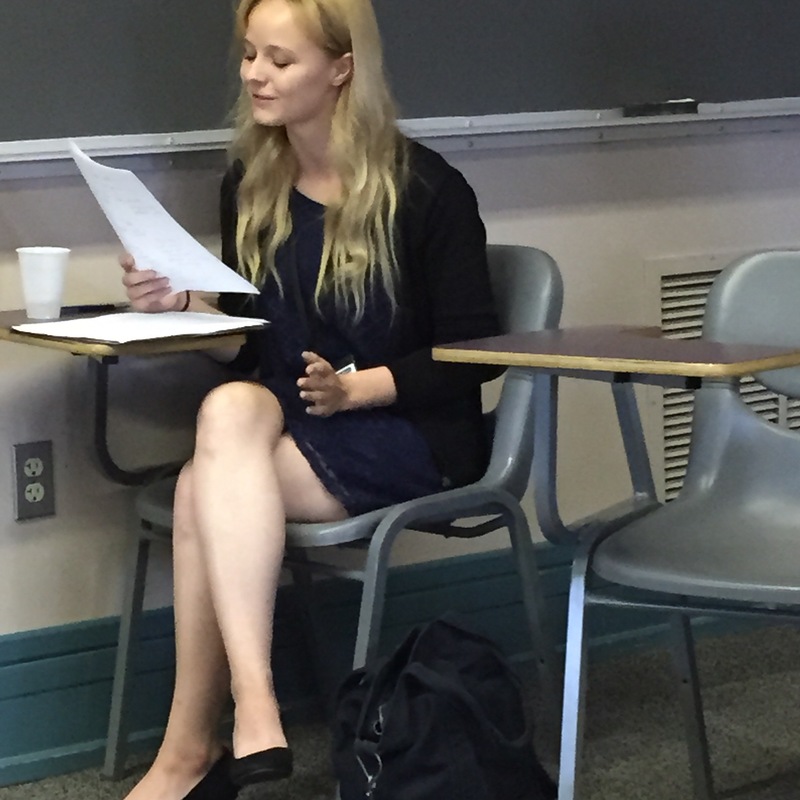 On that same panel, Ashley Foster presented her original archival research that documents the Bloomsbury Group’s activism in war relief efforts, such as the Quaker relief effort in the Spanish Civil War. 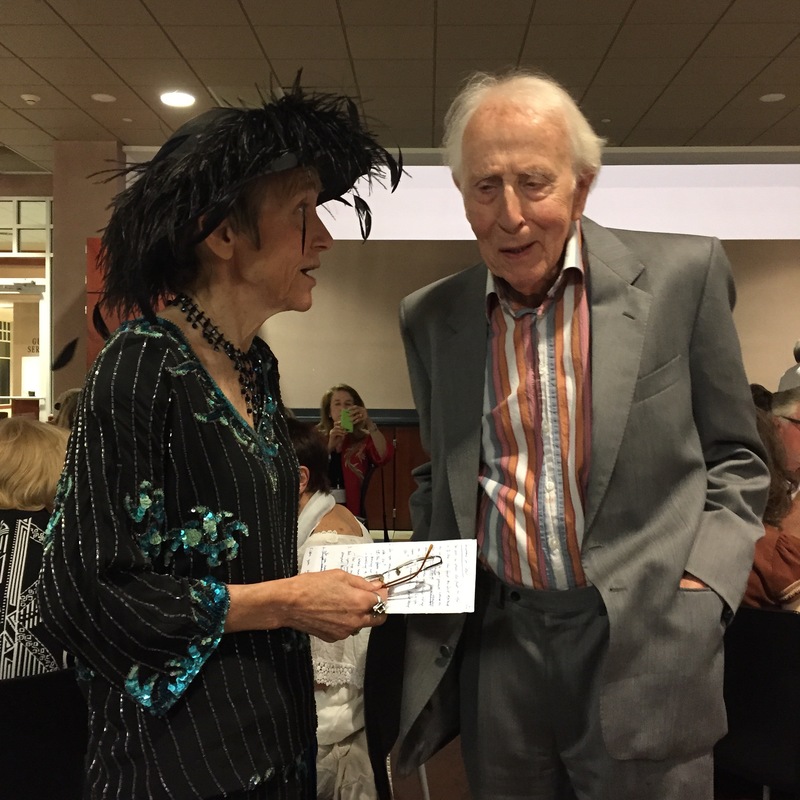 Woolf, for example, attended the Spain and Culture event in June 1937 in the Royal Albert Hall. She also sold her manuscript pages of Three Guineas to support relief efforts and lent her name to the fundraising efforts. Drew Shannon’s discussion of Woolf’s and Mansfield’s diaries. 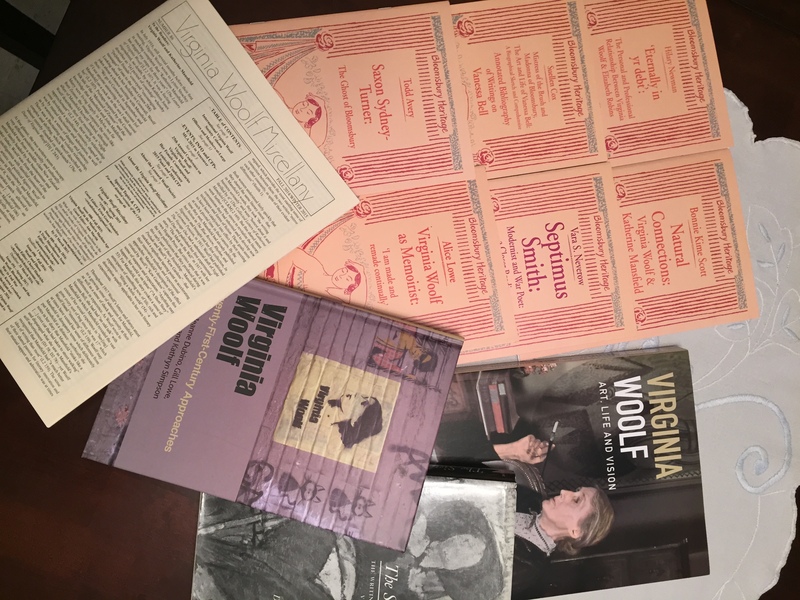 In his examination of the diaries on microfilm at the Berg Collection of the New York Public Library, he learned that Woolf’s early diaries were more exercise books than traditional diaries, as she edited them greatly. Woolf used composition books for her diary, and beginning in 1920, Woolf consistently added a long rule on the left side of each page. To the left of that rule, she added the day’s date. Poignantly, Shannon found that Woolf had added the rule on each page of the 1941 diary. All of the pages are ruled, even though the pages after her March 28 death are blank. For readers of Mansfield, he recommended Katherine Mansfield Notebooks, complete edition, edited by Margaret Scott. 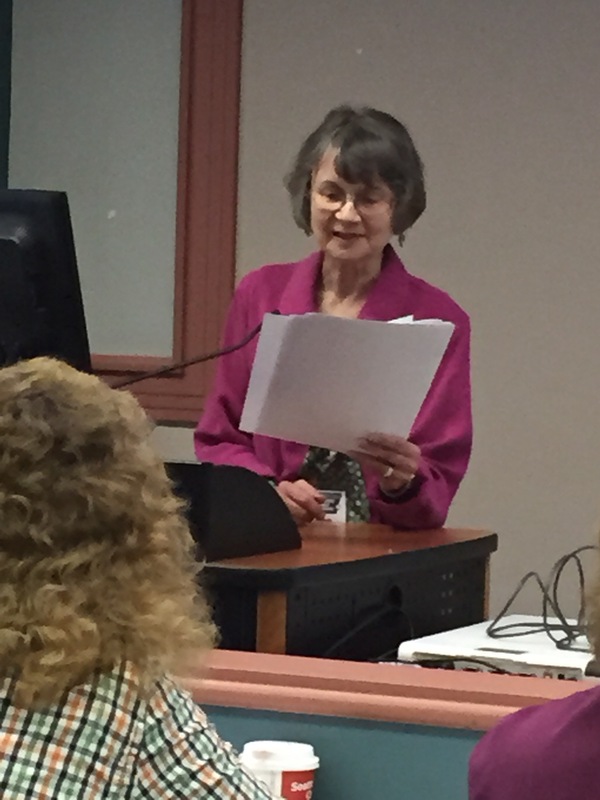 Karen Levenback brought Florence Melian Stawell to our attention, sharing her work as well as her connections to the Bloomsbury Group. 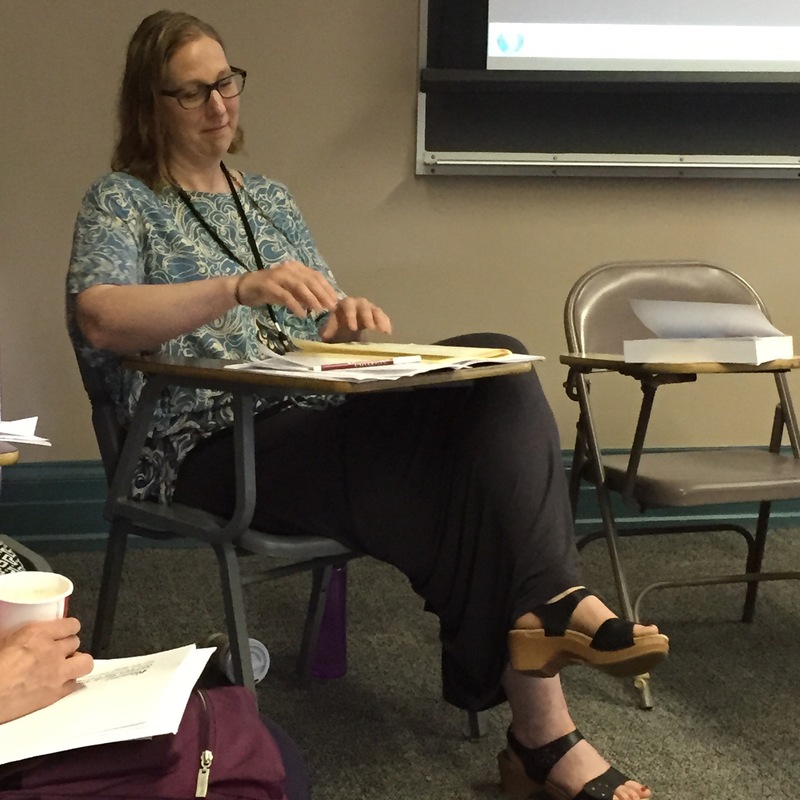 In a panel titled “Spies and Surveillance,” Mark David Kaufman, Judith Allen and Kimberly Engdahl Coates discussed Woolf and her contemporaries as whistleblowers, subversives and victims of surveillance. 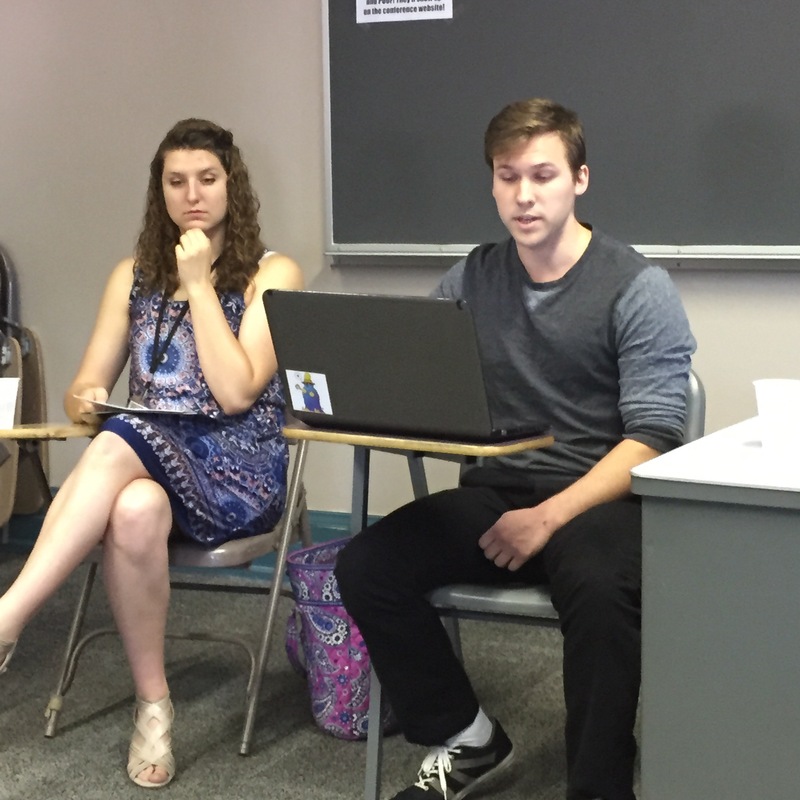 Three undergrads from Bloomsbury University – Cody Smeltz, Sierra Altenbach and Ashley Michler — presented thoughtful papers on modernist masculinity and femininity in the work of H.D., Myna Loy, Emily Coleman and others. 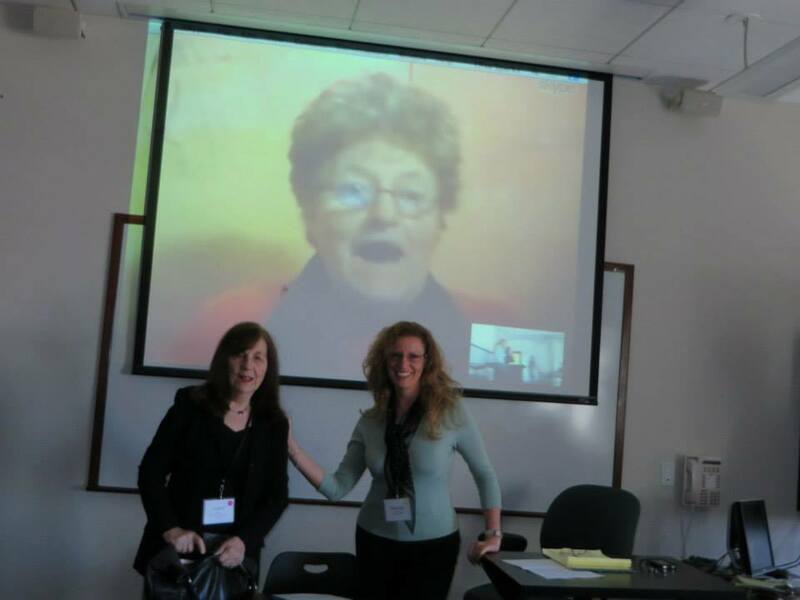 View photos tagged as #woolfconference2015 on this page of the conference website. 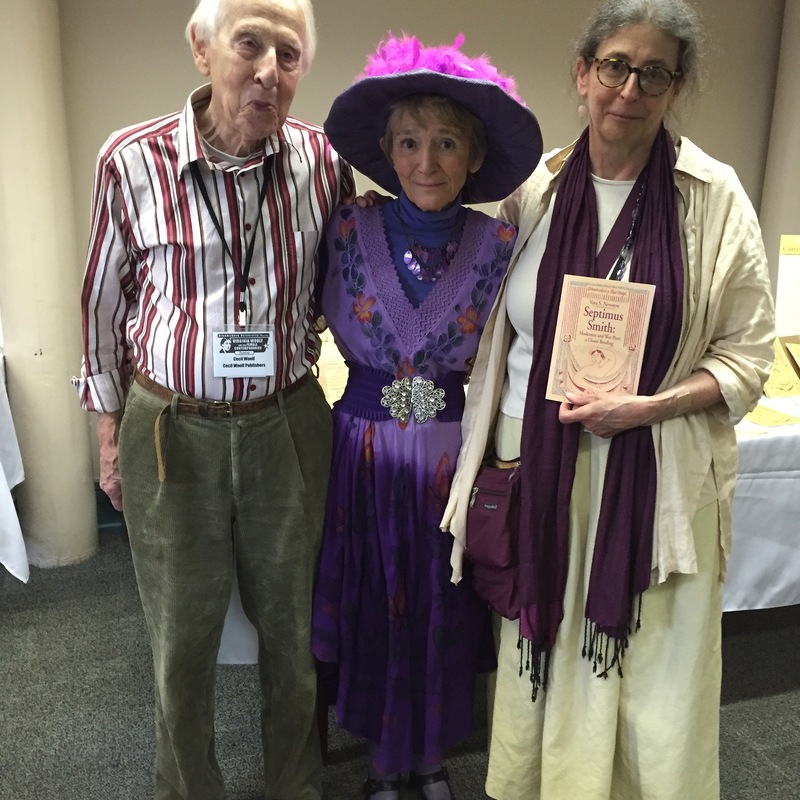 Blogging Woolf photos from this year’s conference, as well as past years, are on woolfwriter’s Woolf Conference 2015 Photo Album on flickr. This year’s photos are also on woolfwriter’s Instagram. You can also view photos in the sidebar at right. Tweets about the conference are still coming in. Find them by searching the hashtag #WoolfConf15. The latest one is posted below, along with a tweet about one of the final panels of the conference.